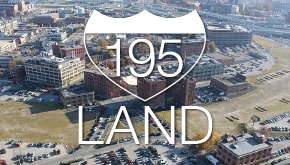 The Interstate 195 Redevelopment Commission Monday heard presentations from two developers with plans for the east side of the former highway land. 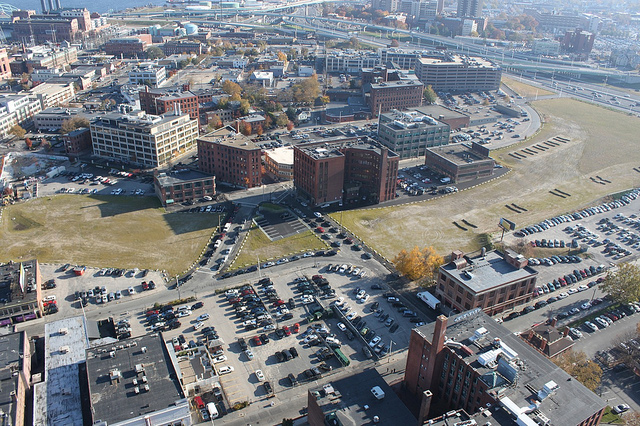 Royal Oaks LLC, a group led by Richard Baccari II, vice president of Providence-based Churchill & Banks, is pitching a project south of Wickenden Street, adjacent to existing Churchill & Banks properties in the Fox Point neighborhood. After Royal Oaks, Carpionato Group of Johnston was slated to present its plan for the Connection at College Hill, an 850,000-square-foot apartment, retail, hotel and pharmaceutical research complex on nearly 6 acres and multiple parcels stretching across Wickenden. The Carpionato Group proposal has been discussed before here. Also see in the PBN article, the two developers who presented to the 195 Commission at the last meeting do not plan to construct any parking for their projects.